Saint Patrick’s Day is a time for all the Irish inspired recipes to come out! 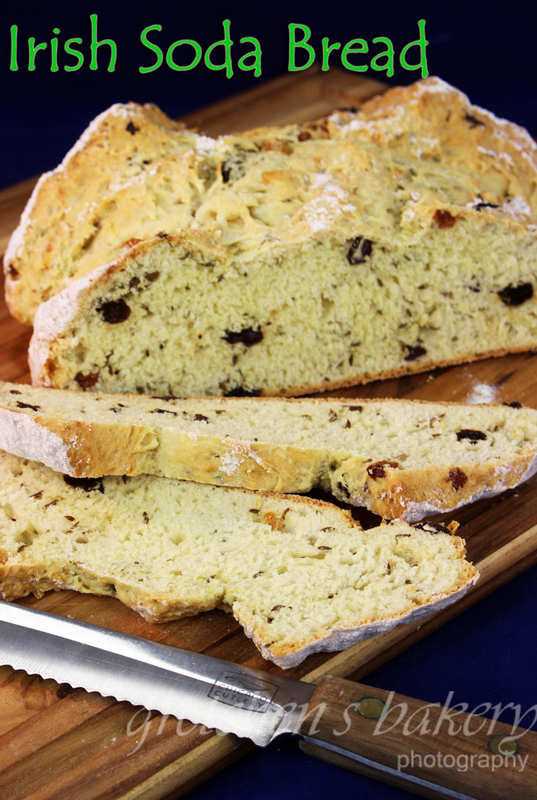 I do love Irish Soda Bread and would serve it all year round! I found this recipe on the internet many years ago. I’ve tweaked it slightly and have been using it every year. 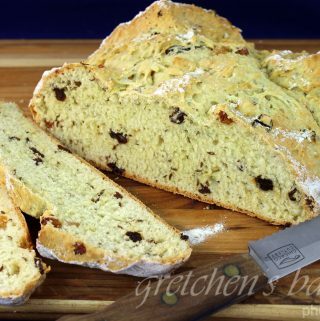 Traditional Irish soda bread can have a tendency to be dry to the point you can barely swallow it, but this recipe is not that way!! With just a handful of ingredients that you probably have in your pantry right now, you will be eating Irish Soda Bread in less than an hour. Okay let it cool first, so maybe an hour and a half! Leave out the raisins and caraway if you don’t like either and you will still have a great tasting, quick & easy bread in less than 2 hours! If you go for the larger loaf, turn the oven down to 300°F for the last 20 minutes of baking to avoid over browning. Add the apple cider vinegar to the soy milk and let stand to thicken about 5 -10 minutes. In a large mixing bowl combine all the sifted dry ingredients and the raisins and caraway seeds. Add the coconut oil and the soured soy milk and work this dough to a very soft, sticky mass. Turn out onto a lightly floured work surface and knead it gently into a disc (or 2 if you are making the smaller loaves). This loaf is what we call a "free form" bread. So you will place onto a sheet pan with parchment paper or a non stick sheet pan lightly floured and cut an X in the top of the dough round. have you ever tried this in a loaf pan or think it would work? Thanks for all the great recipes. A friend bought me your cookbook and everything I made has been great! My family didn’t even notice my husband’s birthday cake was vegan:). Just wondering if you could suggest a replacement for the soy milk you have in several of your recipes? Cashew, coconut or almond milk?